Wolfgang Wagner studied Biology at the University of Vienna where he received his Diploma degree in 1998. He carried out his PhD thesis research in the lab of Antonella Ragnini-Wilson at the Vienna Biocenter and obtained a doctoral degree in genetics in 2002. He then joined John A. Hammer III at the National Institutes of Health in Bethesda (USA) as a postdoctoral fellow. In 2011, Wolfgang joined Matthias Kneussel at the Department of Molecular Neurogenetics (ZMNH). Wolfgang is currently a principal investigator within the DFG-funded research network FOR2419. 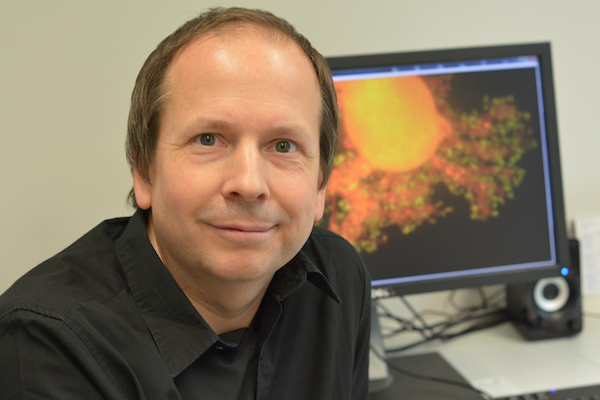 Wolfgang employs cerebellar Purkinje cells as a neuronal model system to investigate how actin-based cytoskeletal motors of the myosin family shape neuronal development and function.